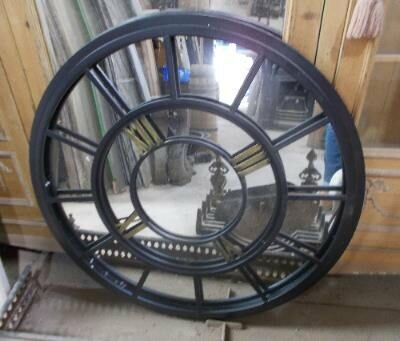 A large out-door round clock mirror. 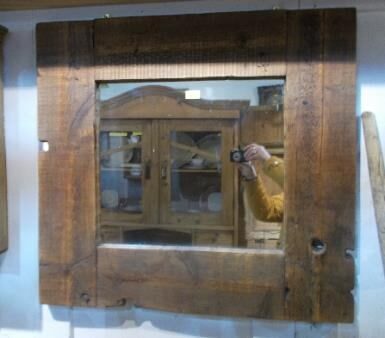 A rustic style mirror and wooden frame. An old picture of "THe Last Journey in The Road". 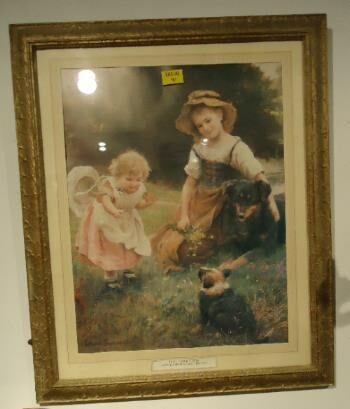 A framed print of "THEIR FAVORITE PETS" by George Hillyard Swinstead (1860-1926). The glass is missing on this picture. 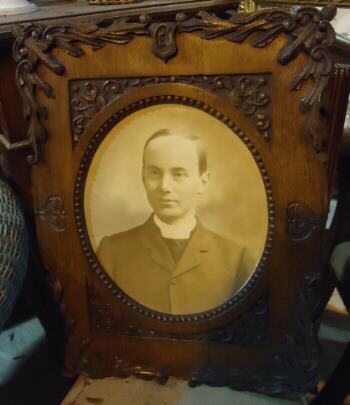 One of a pair , see below. 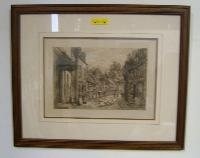 A ornate, oak framed picture of "Wayland". One of a pair see above. 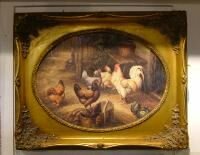 A ornate framed picture of "Chickens". mm (") wide × mm ( ") high. 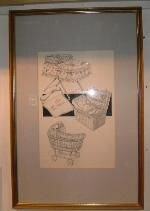 Description: An old print of a cradle etc. in a gold painted frame. Size: mm (") high × mm (") wide. 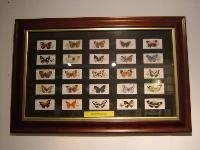 Description: A framed set of 20 Butterfly old "Players" cigarette cards. Size: 600mm (23 1/2 ") wide × 400mm (15 3/4 ") high. 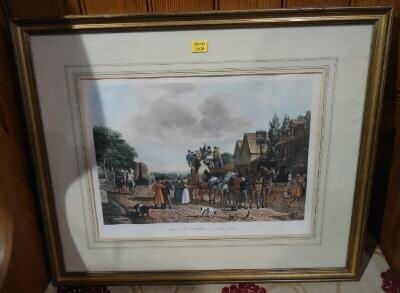 Description: An old print of a village street scene. 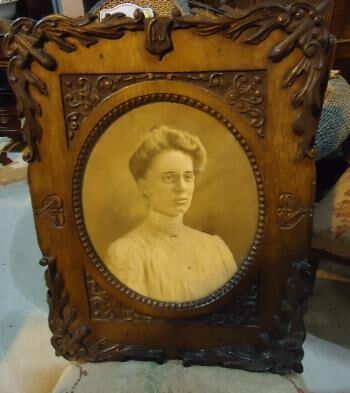 In dark wood frame. Size: 430mm (17") high × 535mm (21") wide. 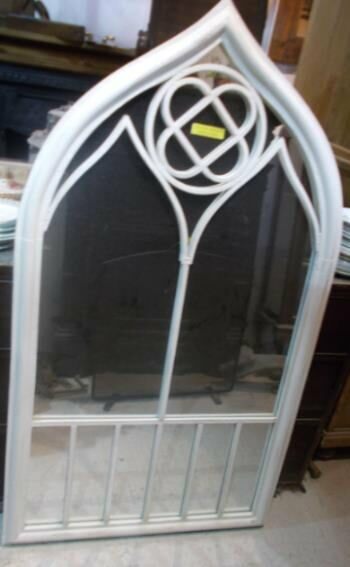 Description: An old oval shaped mirror/picture frame with a decorative plaster finish to frame. Size: 1370mm (54") long × 685mm (27") wide. 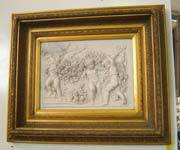 Description: Marble relief of Cherubs in Gold/Gilt Frame. 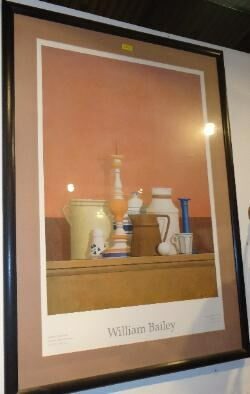 Description: A blue/white ceramic plaque fitted into a gilt frame. Description: 4 Victorian prints of flowers set into a single black wooden frame. 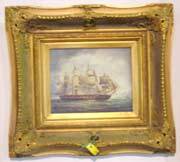 Description: A picture of sailing ships fitted into a gilt frame. 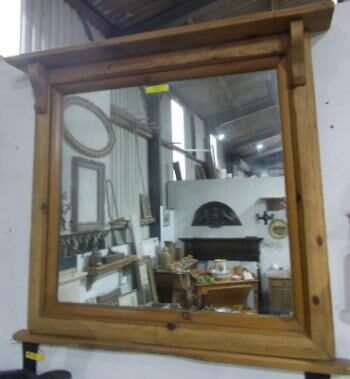 Description: A bevelled mirror in an ornate gilt frame. Description: A pair of framed Victorian prints of a set of 4 flowers. 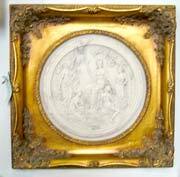 Description: A marble relief set into a gilt frame. 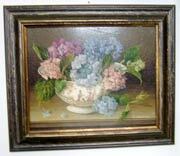 Description: A picture of flowers in a bowl in a darkwood frame. 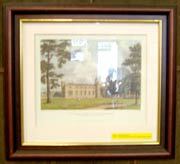 Description: A Victorian/Edwardian print of a part of Rugby School in a darkwood frame. 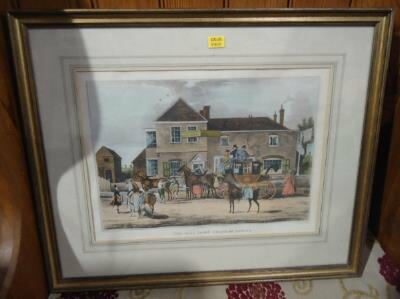 Description: A picture of a sailing ship in a gilt frame. Size: 500mm (19½") wide × 440mm (17¼") high.